Gateway run five different day services for adults with disabilities and all service users benefit greatly from the various activities that we have on offer. However, some of these activities are also open for the local community to access and enjoy. Individuals are welcome to come along with carers and support workers and have a taste of what life is like at gateway . Zumba is the latest dance and fitness craze in the uk and we are pleased to offer a sessions here at Gateway. The classes run on a Tuesday and Friday mornings at 11am for 45 minutes. Our fully qualified Zumba instructor Caroline is well established in the zumba world and offers a fun, easily accessible class aimed at all abilities. The routines are easy to follow and the music is a mix of old and new which is easily recognisable. 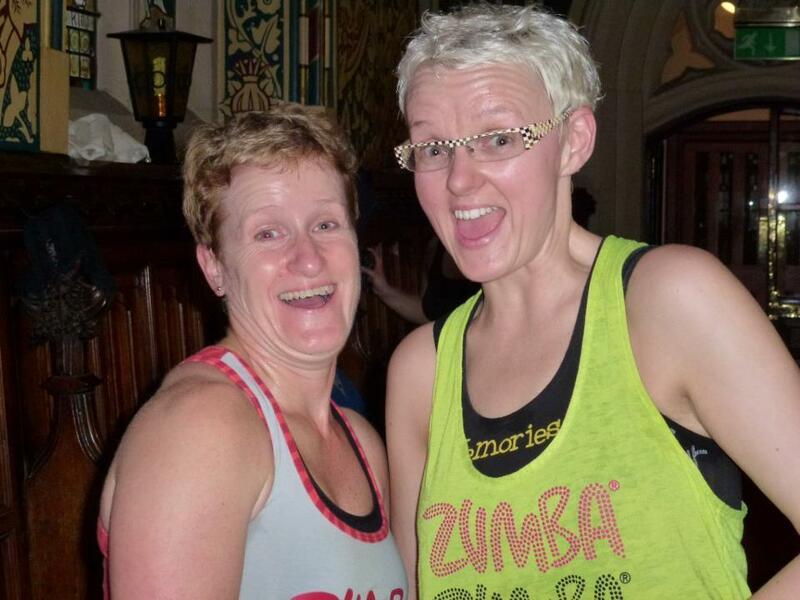 Zumba is a great way to meet up with friends, have some fun whilst promoting fitness and co-ordination. Sessions are £2 and you don’t have to book , just come on down on Tuesday and Friday mornings to join in the fun, don’t forget your bottle of water!! ‘Beats n stuff’ is Gateway’s drumming and beats class that runs every Monday and Wednesday from 1.30pm until 2.30pm. It is Based in Gateway’s Rainbows café and is run by Rochdale musician Paul Stokes. The aim of the drumming circle is to create a social community group which works together to enable the individual to participate and also to facilitate group expression through the use of the different percussive instruments including the conga, jembe, the bells and the tambourine. Individuals can chose their own instruments and join in with the drum beat. Sessions are £4 for one hour, carers/support workers attend free and there is no need to book, just come along and enjoy yourself. This popular session is based up at our day service in Shawforth at Millgate house. It runs on Wednesdays and starts at 10.30am. Individuals benefit from the creative and tactile stimulation that the session provides. Pottery is a very therapeutic and relaxing activity and gives individuals an opportunity to express themselves, this promotes confidence and also a sense of achievement when a project is complete. In partnership with Link4life, Gateway have set up an accessible cycling project that is available for all individuals no matter what your level of ability. Opportunities are provided through a very wide range of bikes including three wheelers, double seated and bikes that accommodate wheelchairs that are propelled by another person. Helmets are provided and must be worn. Sessions are run every Wednesday from 10am until 2:30pm and cost £3. They are held at Bowlee sports centre in Middleton (map). Drinks and snacks are available to purchase to ensure individuals get to spend maximum time at the activity. You don’t have to book this activity, just turn up with appropriate clothing and footwear.